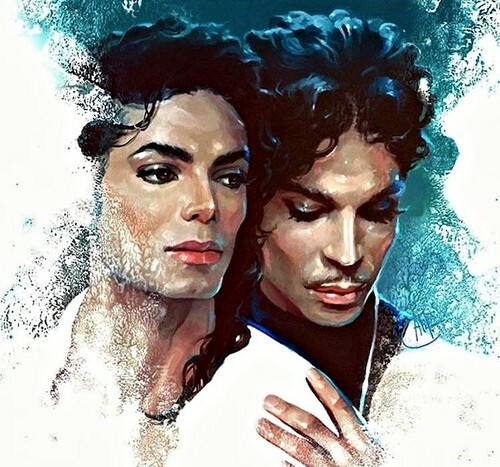 Two Stars shining in Heaven. . HD Wallpaper and background images in the Michael Jackson club tagged: photo michael jackson king of pop prince music arts. Two icons of music.. now two angels. May they rest in peace. Totally agree with you and I bet they are in peace now. This is beautiful, I have a question though....?? Didn't Michael dislike Prince?